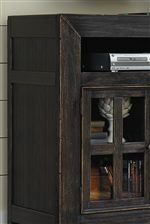 A lived-in look adds rich character to this entertainment wall unit with a large TV stand, two piers, and a center bridge.The simple style with framed glass doors and block legs is enhanced with a dry vintage weathered black finish with heavily distressed details. 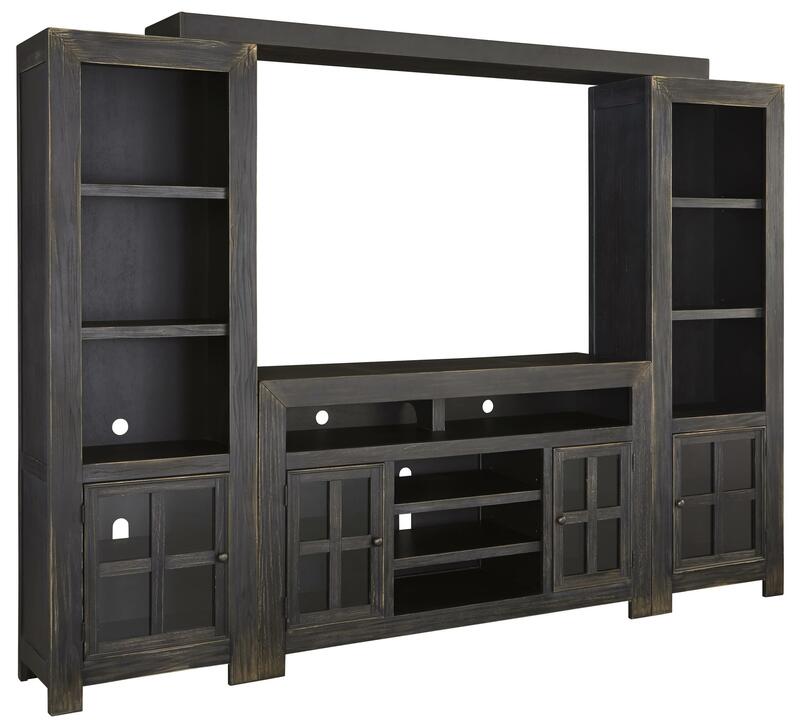 With practical storage and display space and a vintage casual appeal, this stylish entertainment wall will be a versatile addition to your living room. It accommodates TVs up to 65". The top of the TV stand has room to place a sound bar. Wire management openings and adjustable shelves allow space for electronic components. The side piers, each with three open shelves and space within a glass door, provide space to accessorize. 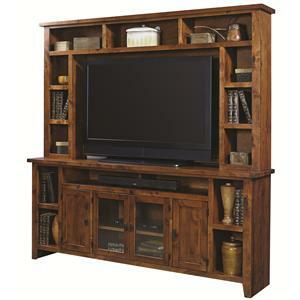 The Guardia Entertainment Wall Unit w/ Large TV Stand, Bridge, and Piers at Ruby Gordon Home in the Rochester, Henrietta, Greece, Monroe County, New York area. Product availability may vary. Contact us for the most current availability on this product.